You never read the word “denationalisation” in Western media anymore, only “privatisation”. That makes sense… “denationalisation” is so obviously negative; it’s lack of patriotism and concern for the public welfare isn’t being covered up. The New York Times seemed to stop using the word around the mid-1980s – which makes sense, because that’s when the propaganda of neoliberalism fully took hold. In 2019, a generation later, journalists don’t even question that “privatisation” is a bad thing: for them “nationalisation” is probably a pejorative term, smacking of “nationalism”, which has become essentially synonymous with “racism” in the Western vocabulary. But “denationalisation” is totally accurate: the selling off businesses which were undoubtedly paid for by the People of the nation, and then operated for the good of the nation. We cannot say that all neoliberals hate their nation – being “anti-nation” is the ideology of globalists, a subset of neoliberalism. We can say that neoliberals hate “the state”, and the distinction is important. Listen to the talk radio in the United States and you invariably find Protestant religious radio, and they love to equate “the Beast” of the Bible with the federal government; this satisfies both neoliberal and libertarian listeners. This explains why neoliberals push “privatisation”. When they discover that the 1% to whom the denationalisation was made was to foreign 1%ers… they might get upset at that – they won’t if they are globalisation neoliberals. They undoubtedly won their first real victory against Emmanuel Macron this week, as opposition parliamentarians surprisingly banded together to vote in favor of holding a referendum on the sell-off of all three airports in the Paris area. Swiss-style RICs – citizens’ initiative referendums – is the primary democratic-structural demand of the Vesters; the fact that one might now take place is undoubtedly due to their agitation. 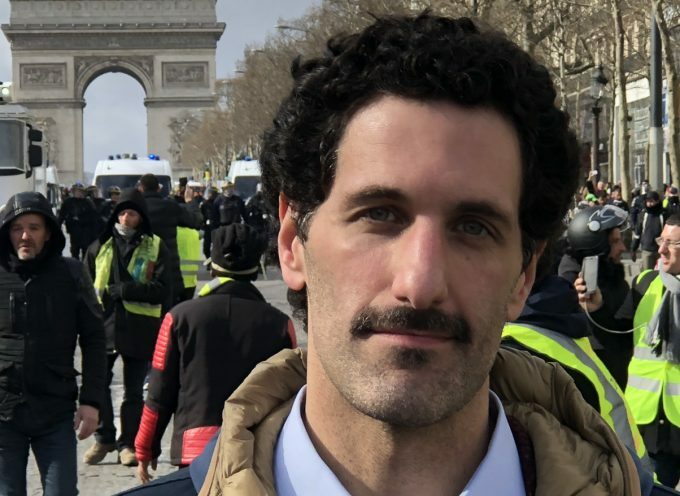 A begrudging French media, which hates the Yellow Vests for daring to question the agenda leadership of the 4thestate, of course did not celebrate what is an obvious victory for everyone living on French soil or just flying through Paris. However, their skepticism is justified: France’s last referendum was in 2005 for the Maastricht Treaty, and that was immediately ignored… much like the Brexit vote appears to be .Today was supposed to the day the UK left the EU and regained their sovereignty, and now we’ll have a 24-7 media onslaught for a 2nd vote. Personally, I think the first vote should not be respected – everybody knows votes don’t really count until the 4th or 5th one…. I was quite surprised at France’s revival of economic patriotism/good sense. The day prior to the decision I did this report for PressTV – there were only perhaps 150 Yellow Vest protesters in front of the Senate, which appeared certain to vote their approval for Macron’s sell off. It’s still not sure a referendum will actually take place – it would be a first – but it could be in the headlines for months, emboldening more to join the Yellow Vests all the while. Did Macron’s incredibly dirty tactics turn the tide? The idea of selling off state assets to rich people is already shameful to anyone who isn’t rabidly against Socialist Democracy, but Macron’s tactics went beyond the pale. Firstly, he pushed the totally-compliant, neophyte, business executives-turned-politicians (or, to places like The Economist – “civil society”) in the National Assembly to rewrite laws allowing the denationalisation of the airport. It’s always fun to read France’s Orwellian names for their “deforms” – this one was the Action Plan for the Growth and Transformation of Companies (Loi PACTE). Then, to avoid media coverage and a possible defeat, at 6:15am on Saturday March 16, he called a vote on the sell-off. French PMs work really late hours – I have no idea why, this isn’t Spain – but I’ve never seen that. Only 45 deputies voted out of the lower house’s total 577. The mainstream media had to go into overdrive to explain why the vote was actually legal. Nobody covered that – we all missed it, including me. Hey, I’m a daily hack journalist – I can’t do a story 2 days after the fact. Ya can’t cover them all, and there’s always another one around the corner. Then, in something no media appears to be connecting, Macron pushed back the end date of his phony PR-campaign known as the “National Debate” in order to draw attention away from this week’s planned Senate vote. Yellow Vesters did not care, they – as planned – engaged in massive civil disobedience on the Champs-Elysées the day after the National Debate was supposed to end, March 16, even burning down a bank, though I was truly the only one to properly explain why (and at the bank!). So this week Macron unveiled his “conclusions” of the 2.5-month talk-fest, which were, essentially: “It’s good to know that I’ve been right all along!” He was clearly hoping the media would focus on his technocratic rightness, instead of giving column inches and air time to the airport sell-off. But he didn’t count on non-Macron party deputies joining together for the good of the nation. Or, for many, the good of their re-election campaign: after all, denationalisation is so unpopular its name cannot even be uttered anymore – opposing the 10 billon euro windfall from the sale is a sure winner with the voters. Briefly: it is totally absurd to believe Macron’s claim that the state can only find 10 billion euros for an “industrial innovation fund” via selling off Paris airports (as well as the National Lottery and France’s stake in energy giant Engie). France has given scores upon scores of billions in tax cuts to corporations and businesses during the Age of Austerity, repeatedly telling us that the 1% will invest in industrial innovations funds of their own making and all without state strings attached to the cuts. Then you have tax evasion which is in the hundreds of billions in lost money for state coffers… which will be hard to find, considering that Macron wants to cut thousands of jobs in the Finance ministry, the ministry whose job it is to collect taxes (must kill the Beast… it’s what Jesus would do!). In short, it’s a very bad week for Macron: just 6% of France said his National Watch Macron Outdo Fidel Castro In Speechifying was a success, and then it didn’t even provide cover for the privatisation his neoliberal globalist ilk loves more than absolutely anything. Why is it better to them than even oh-so-profitable wars – you axe tens of thousands of Beast/government jobs, and you get an already-made cash cow which has a customer base which is obviously guaranteed / an outright monopoly. So in the mid-80s the neoliberal mindset had spent about 5 years ripening like bad French cheese; in 1991 the USSR’s leaders ignored the referendum which saw 78% of Soviets vote to remain Soviets; and by 2002 those “lefty” Frenchies had initiated denationalising the highways – the historical arc is clear, if slow-moving to some. I was really surprised when I moved to “socialist” France that they had sold off the nation’s roads. Today, when a driver pays 60 euros in tolls to drive from Paris to Marseille – and that’s just the one-way – you feel like setting the toll booths on fire. 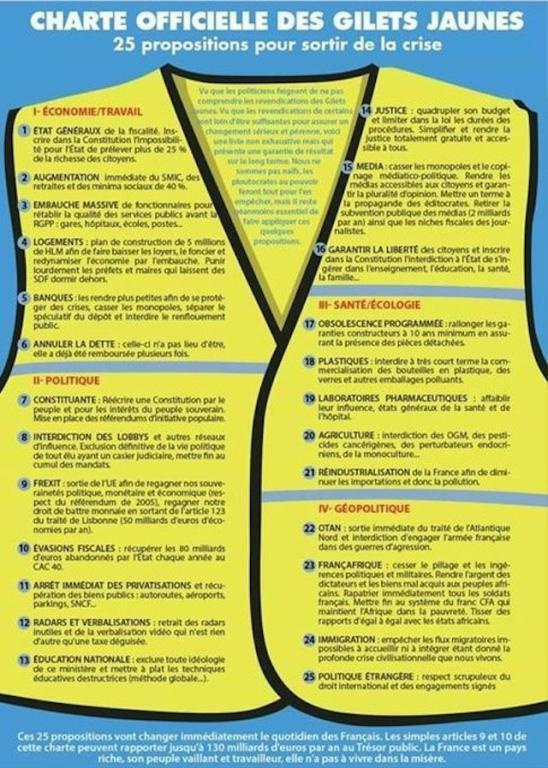 Which is what the Yellow Vests did – it was a public service…. Denationalising the airport would have the same costly effect for the average Frenchman. It will have the same effect the UK experienced after denationalising their railways: a season ticket is now 5 times higher than on the Continent, with time-keeping, safety and comfort all worse, too. In the US you have headlines like this one last year from St. Louis: Lambert (airport) privatisation looks like Chicago’s parking meter disaster. Macron should take heart that I will not be allowed to park my car – which I bought entirely with change – for free in Paris anytime soon: the West European / Liberal Democratic system is geared in his favor. Want more proof? Yellow Vests demonstrations have been totally banned in Lyon, the third-largest city, after a complaint from what is honestly (no kidding!) the real power in Western societies: the local chamber of commerce. So we have “privatisation” and “denationalisation”… and then we have Iranian “privatisation”, which we hear about all the time. Rouhani has gone “neoliberal”, right? Ahmadinejad did, too, uh huh? LOL, I swear, I truly am always laughing when I write about this subject! Iran is not selling off 51% of state assets to the Rothschilds, or the Swiss, or… the Turks?! LOL, the Turks running Iran? Do we want our nice things to be ruined?! Iran’s “privatisation” aren’t “privatisations” because they “sold” the state-owned assets to state-controlled groups like the Revolutionary Guards, bonyads (religious charity co-operatives) and the Basij. So it wasn’t even “denationalisation”. It certainly wasn’t “neoliberal privatisation” – because the state nearly always retains more than just a controlling interest (20%) but a 51% share – and if you say Iran has gone “neoliberal globalization” I am truly going to be in hysterics! So it’s not that Iranian media is obscuring what is going on by excising previously popular terms, it’s that Iran has revolutionary (unique) concepts of governance for which there simply are no words for it in foreign languages… yet. But we can agree on this: such unique changes are the opposite of what Macron wanted for France; and such unique changes are so reviled by the capitalist-imperialist West that – as of this week – everyone in the Revolutionary Guards and the Basij is now considered a terrorist by the US. There are 10-25 million Basiji, almost none of whom are armed, and the majority of whom are women and children, but… ok, they’re all terrorists. Whatever it takes to not pay 60 euros in tolls one-way. That sounds like a very effective revolutionary cry for the Yellow Vests! France should thank them – they have stopped (for now) the French People’s loss of one of the world’s busiest airports. Certainly, it’s a tangible victory which shuts up their detractors, which forcibly changes the mainstream media’s Liberal Democratic agenda, and which prods their fellow citizens to become more politically enlightened. Here’s a message to Vice-President Piss, his freak family, Elliott Abrams and the rest of Washington: the Venezuelan military isn’t f*cking stupid. Prior to the Caracazo, as many libertarian dumbasses will tell you, Venezuela was, in fact, one of the richest countries on the continent but what the free marketeers leave out is that they had massive amounts of poverty and an immoral wealth gap between the richest and poorest citizens. This poverty, the result of neoliberal privatization schemes, set off a chain of events that later helped spawn Venezuela’s communes and a young military leader who attempted to overthrow the crooked puppet state, Hugo Chavez. The Bolivarian Revolution and the “Pink Tide” that swept Latin America in the early 2000s were a response to all of this. The Venezuelan military knows there is no peace as long as there is ANY resistance to US financial tyranny. The US, all their intelligence agencies and their various stooges around the continent may have won some fights in countries like Brazil but this won’t be as easy on Venezuela. The Venezuelan military is part of the Bolivarian revolution, they will not be separated, and like the many of the average Venezuelans opposing US intervention, they know what comes next if Washington gets their way. 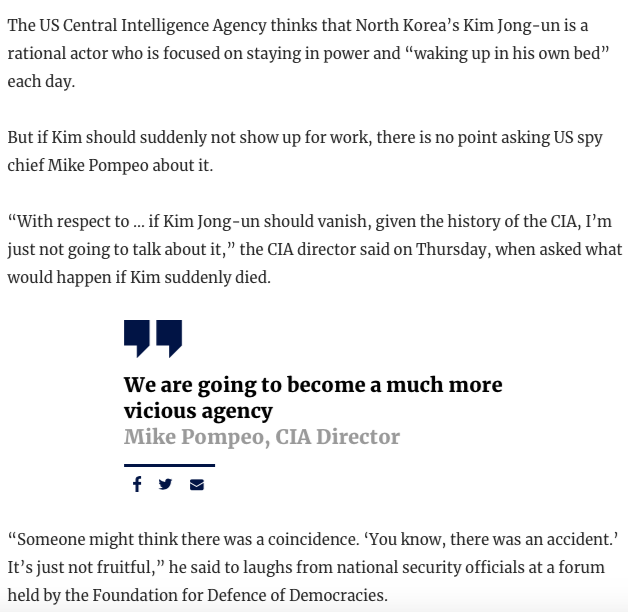 Filed under: American Empire, China, North Korea, sanctions, US Lies, USA | Tagged: CIA, Neoliberalism, Pompeo |	Comments Off on “Killer Diplomacy”: The Kim-Trump Summit in Hanoi, Sabotaged by Mike Pompeo? The situation remained fluid and uncertain till Napoleon, converted from a servant of the Republic into an Emperor, convened, in 1807, what he called the Great Sanhedrin, to resolve the controversial issues arisen from the emancipation. The Great Sanhedrin refers to the governing body of the Jewish community, notably during the Roman Empire. Plato conceived of 3 original principles, incorporated in the Logos, different, but linked to each other by a mysterious generation. Observers may have noticed that when the Prime Minister of Israel addresses a US joint session of Senate and Congress, he routinely receives a record number of standing ovations. 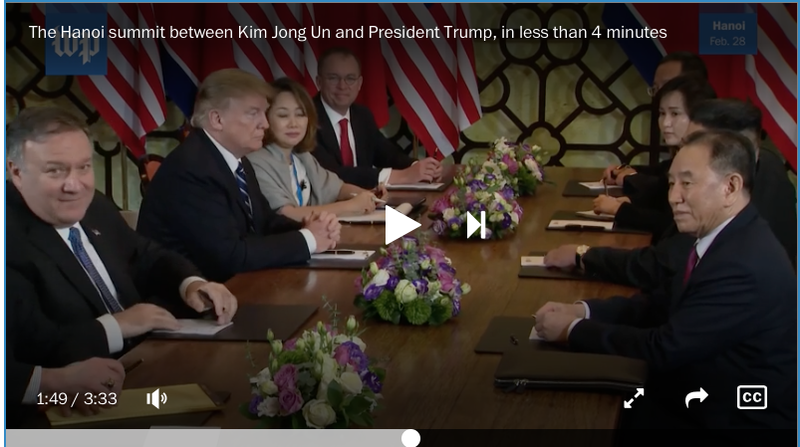 And, after an ovation, no one wants to be the first to sit down – presumably but also probably – for fear of being suspected of weaker Pro-Zionist sentiments. For the extravagance of the Grecian mythology proclaimed clearly that the inquirer, instead of being scandalized or satisfied with the literal sense, should diligently explore the occult wisdom, which had been disguised, by the prudence of antiquity, under the mask of myth and the display of follies practiced by the quizzical dynasty of the Olympian Gods. As for democracy, Kalergi says it is an instrument to be discarded, as soon as the new Jewish nobility will be established and in charge. (page 36). “The Euro”, both the monetary system and the book of the same name by Nobel-Prize winning economist Joseph Stiglitz, can appear complicated. Take heart from Noam Chomsky, who wrote that nothing in the social sciences cannot be understood by the average bus driver in a couple of minutes – this is not calculus or physics, after all. Stiglitz successfully makes two indisputable academic assertions: The euro has failed in its promise to bring about prosperity and security, and that there is nothing in its organizational structure which allows for the possibility for change. Take a moment and realize these do not constitute an attack on the euro – these are clear facts, the former of which is clear to anyone. You’ll have to take his academic word for the latter assertion, unless perusing the euro’s structure is your idea of a fun Saturday night. After covering the entirety of the Eurozone crisis from France, it is impossible to refute my assertions that the Eurozone has failed to bring about prosperity and security for the average Frenchman, and that there is nothing in the mainstream political structure which allows for the possibility for change. Trust us. The first part is the main part, anyway. I thought I’d revisit Stiglitz’s book, seeing as how the National Front’s Marine Le Pen may win the presidency in a few months largely thanks to her promise to leave the euro. It’s vital to realize that it is not just right-wing ignoramuses like me and Le Pen who want out of the Eurozone – a mainstream, Nobel Prize-winning economist has reached the same conclusion. What I am saying here is: You don’t have to agree with us, but you cannot denigrate euro-exiters by calling us stupid or racist like you did Brexiters or Trumpers – at some point you have to openly debate. “The Euro” is very good and worth reading. If you want know the truth about the Eurozone, read the analysis of someone who has no personal stake in it, like Stiglitz. But believing that the euro should continue should be referred to as “Islamic market fundamentalism”, not because it has one single thing to do with Islam, but because then it would hit home with the average Westerner just how fanatical “market fundamentalism”, or “neoliberalism” truly is. Such a term should make the deranged ideological basis of the Eurozone crystal-clear: Neoliberals are not at all constrained by the facts of 25 years of failure in Africa, a lost decade in Latin America, and nearly-lost decade in the Eurozone – Stiglitz makes this point repeatedly throughout the book. What Stiglitz fails to do is to point out that the simple root of the Eurozone is capitalism and that this is the ideology which must be questioned, not simply its capitalist variant of neoliberalism. I can easily relay a bunch of his facts, combine them with my on-the-ground experiences and convincingly make the urgent case that the Eurozone is flawed and must be abandoned or replaced. But this is not that column. Stiglitz is about as leftist an economist as the mainstream media is permitted to report on. That is why my headline calls him a “fake leftist”- I don’t think any economist would call him a “leftist economist”, but for all intents and purposes he is as economically left as the average person can find without caring enough to dig deeper. Stiglitz is on the left of the right-wing; which makes him a centrist-tending-right. That he is consistently presented as a “progressive” economist is the mistake this column seeks to make right. And like so many “progressives” who fall short of real leftism, even Stiglitz cannot believe his own eyes or his own words. So many times in “The Euro” Stiglitz delivers a devastating conclusion about capitalism, only to immediately lets it off the hook by claiming bafflement as to how this could possibly happen. This failure is intellectually indefensible, intellectually unsatisfying, regressive and violently damaging. This passage is, unfortunately, typical. It is not mystifying – this is what capitalism does over and over. Just as they sought in Africa and Latin America, neoliberals want to impose labor code rollbacks and deregulate; in Europe they wanted to end the gains Europeans have fought decades to win. It has worked in France – Hollande rammed through the “Macron Law” last year despite mass protests, and he arrested thousands of demonstrators to achieve it. Time after time Stiglitz presents a devastating indictment which totally attacks the premise that capitalism is concerned with good governance and promoting even basic equality, only to soft-pedal backwards. For those not following Europe closely, this is exactly what has happened since the European Sovereign Debt Crisis began and why people have lost faith in the Eurozone: the rich countries of France, the Netherlands and Germany have no solidarity with the average Eurozone citizen at all (which is endemic in capitalism), and are ruthlessly waging economic colonization against the poorer nations (which is endemic in capitalism). It is the banks of France and Germany which have been bailed out, not the average indebted person in Greece or Finland, as Stiglitz repeatedly proves. Spain and Ireland didn’t even need a bailout in 2009: They had a fiscal surplus and healthy debt-to-GDP ratios, but not anymore. Greece is now actually running a fiscal surplus! No matter – they are slated to be paying back banks further west and north for perhaps decades. Stiglitz says these things, backed by academic facts, all the time in his book. And yet with that seemingly ironic “perhaps the real goals” statement –a question mark is missing, which must be a grammatical error because it is clearly a question – Stiglitz simply ends the matter and moves on to a new topic. Tellingly, it is “The Need for Growth”. Perhaps if Stiglitz were not trapped by capitalist ideology, by capitalism’s obsession with growth, he could have pursued his own hypothesis (which matches with reality) even further. But he didn’t, he dropped the potato once it got hot, or he doesn’t realize he has a capitalist-programmed obsession with “growth”. It is not at all cynical to say that capitalists in the Eurozone have not yet rectified a long-standing criticism by the left: that capitalism needlessly and inefficiently promotes international competition and imperialistic rivalries. Leftists have said this for decades, are saying it now, and will say it forever until 1) capitalism stops doing it, which they won’t (can’t) or 2) capitalism finds a solution to this problem, which they can’t (won’t). Either Stiglitz, with all of his honorary degrees, has not read basic leftist economist thought, or he has forgotten it, or he has ignored it in the confirmation bias of his definitely non-progressive adoration of capitalism. Like all capitalist promoters, and like all mainstream media members who live in a 24-hour news cycle, instead of taking a longer view Stiglitz is guilty of viewing the Eurozone as some sort of isolated case in capitalism when the moment arrives from clear conclusions and logical condemnation. He remains in his ivory tower, and his telescope does not take in the full historical view. An obsession with inflation is not a “fashion”: this is a fundamental concern of capitalism throughout its history. Why? Inflation is called “the great leveler” for a reason – it reduces the values of the most immense fortunes. The rich have far more to lose than anyone else from inflation! It also reduces debts, so God send us inflation! At least for the poor debtors, who will be able to pay off their burden and stop being tortured. Inflation also reduces the power of interest – without that power, bankers/moneylenders will have to actually work for a living, which is why they fear it so. Finally, lacking the stability provided by communistic cooperation, an inflation-induced downturn also spells chaos, and that could force a revolution and compel the wealthy to flee to some other country with only a part of their ill-gotten gains (see revolutions in Russia, China, Cuba and Iran for examples). Stiglitz knows that for all these reasons an obsession with inflation is fundamental, not fashionable. “The dismal (economic) forecasts made it clear: the Troika’s grasp of the underlying economics was abysmal”. Really? All those eggheads with their salaries so much bigger than mine don’t understand their own domain? The problem here is not that people with a PhD do not “grasp” their own field – the problem is their ideology. It is not a conspiracy of stupidity or a confederacy of dunces – it’s the promotion of capitalism over communism. The ideology of communism shows clearly that the Eurozone was indeed a conspiracy – a money-lending cartel on the grandest scope. And why would such a scope be out of the reach of banks whose yearly gross corporate product can exceed half of all nations in the world? Stiglitz says that from 1999-2007 the Eurozone had a short period of success – “divergence reigned” – i.e., rich countries loaned to poor Eurozone members (economic redistribution). But what happened is those loans were called in during a crisis, and they could not be repaid. We know that bankers routinely aim for such a scenario to happen. What happened in the Eurozone has happened all over the 3rd world during the 2+ centuries of European-led imperialism – indebted countries were picked apart by foreigners. To say that the bankers/Eurozone planners/Troika didn’t know what they were doing is pathetic. Stiglitz has too much sympathy, perhaps, or not enough contempt for negligence. This is – somehow – an honest question from Stiglitz, and a less ideologically-rigorous reader will be lulled into complacency and sympathy for those who are orchestrating the re-colonization of Greece. Stiglitz poses the question but he never takes a stand. This is as far as a person like him is willing to go – fake leftism. The leftism that nobody wants to associate with. The leftism that loses. The leftism that embarrasses leftists to say that they are leftists. Why care about ‘alternative facts’ when ideology is neglected? Facts don’t matter because in the social sciences ideology filters everything, people. Again, this is not calculus or physics – if it was, then economic policy wouldn’t be disputed and austerity wouldn’t still be reigning. The capitalists have an ideology and they won’t call it “Islamic market fundamentalism” so they call it “neoliberalism”, and it is the foundation of the Eurozone. You want to be a capitalist and not an “Islamic market fundamentalist”, you complain? The Eurozone is necessary, you say? Fine. Let’s judge the Eurozone on your own neoliberal terms: As a capitalist you obviously accept that economic downturns and depressions are simply a part of life, and you are willing to make everyone suffer the consequences. But the judge of any capitalist policy is how long and how deep your capitalist downturns are, and by this fair gauge the EU has totally failed. This will be a lost decade. I pity the poor and unemployed youth because they are suffering for the refusal to accept the facts which impose a change of ideology. There is an alternative to the Eurozone – it has not been decreed by God. As Stiglitz writes, monetary systems come and go. If structural limitations prevent us from changing the euro then the euro has to go. Capitalist reader, even your emperor is cold from wearing no clothes: Germany has averaged 0.8% annual growth since 2007 – that is failure, and this is your leader and success story? But Joseph Stiglitz, with all his egghead degrees that make him so much smarter than me and your regular bus driver, should know extremely well how capitalism ravages everything because isn’t he reading economic literature from the left at least some of the time? That is not clear. But I say Stiglitz should know better because he is from Gary, Indiana, my former hometown. Gary, if you don’t know, is the American industrial hellhole par excellence. It is the poorest, Blackest, most violent city in America, per capita. White flight, racism, capitalism, pollution, drugs, guns, blocked futures – it all the stuff nobody wants. You cannot compare it with a stereotypical Soviet-era counterpart because there is humiliating racism, deadly violence and crack instead of vodka. Gary truly is the foul, steel-fume belching armpit of America. Most people in nearby Chicago are too frightened to even stop there for gas…and mainstream media/politicians couldn’t care less. Gary’s dismal past, present and future should have been enough for Stiglitz to renounce capitalism, but it wasn’t. Like most “progressives” who do not go far enough to make any real or lasting difference, the tone throughout his book is that Stiglitz “sincerely cares”. He really, truly does and…this only makes him more enlightened than your average, selfish fascist. Like most of his fake-leftist peers he never discusses “class”, but loves to discuss the environment. And if there was an economic component to transgender bathroom rights I’m reasonably sure Stiglitz would have focused on that as well. He – by blinding himself to a true leftist interpretation – by being content with being “mystified” in the most non-poetic ways in the most dismal of “sciences” – he creates a false impression of what “progressive” should truly mean. The best that such a half-hearted progressive like Stiglitz can do is provide us ammunition for the struggle – and he does in “The Euro”. This makes him without fault, but it does not earn him great praise. Somebody in his influential position should break free of his mainstream confines and propose real solutions instead of trying to fix what he clearly knows is fundamentally broken: capitalism. Being “mystified’ should not earn you prizes in economics – the people deserve immediate solutions. Urbane, cultured, human rights-loving Europe has not been able to show that one is able to combine a capitalism and communism in a capitalism-centered system. This is exactly what the Euro was supposed to do. Capitalism is simply too strong and must be confined in a drastic manner. The Eurozone has allowed European imperialism to turn on itself. This should be as crystal clear to you by now as it is to an increasing number of Eurozone citizens. What is working, and even despite the global recession, is combining capitalism and communism in a communism-centered system. China is booming; Cuba has had steady 2% growth since the Great Recession started, despite the genocidal blockade; since 1989 in Iran (communism’s ignored victory) only one country in the world has increased their Human Development Index more – South Korea. Destroy the euro, yes, because it has been created in a way so that it is possible to reform, as Stiglitz repeatedly demonstrates. It was an economic union before there was a political union, and the pain of muddling through to finally get that political union correct is going to hurt hundreds of millions of people for decades – that price is too high. There has to be another way, even though pro-euro people repeatedly cry TINA: There Is No Alternative. The euro was, after all, created in 1992 – the USSR was over and so was “history”. This anti-democratic philosophy has been inscribed in the euro’s genetic structure, per Stiglitz . But the only way any pan-European project can ever possibly succeed – and Stiglitz repeatedly notes this as well – is through solidarity. What he doesn’t say is that there is no pan-national solidarity ever in capitalism. He holds up the US model as an example, but the US has always been, fundamentally, the same country. It’s not as if the US merged with Native American tribes or territories of freed Africans. Europe requires their own solution, not just a US copy, just as Cuba requires their own model, Iran their own model, etc. The euro has undoubtedly decreased the sentiment of solidarity so vital to something like the euro ever having a chance of working. Greece distrusts Germany, Germany distrusts Portugal, France distrusts everybody including other Frenchmen, etc. There can be no doubt about that. The capitalist euro project has ruined European solidarity, and I – intrepid reporter on the ground – can report to you that I see no “solidarity boom” on the horizon. I see the far-right, racism, protectionism and closing of borders. Why? Well, the euro has failed to bring about prosperity and security, dummy – you can even ask a capitalist reactionary like Stiglitz! Modern history proves that any sort of solidarity – especially pan-national or racial – requires a commitment to communist ideology. The USSR was the only empire built on affirmative action, after all. Communism is the only way forward, as we’ve all known for decades. The question, if there is one, is not “if” but “how much”. Stiglitz, and his fundamentally pro-capitalist fake leftist ilk, can see that but they look away. Ramin Mazaheri is the chief correspondent in Paris for Press TV and has lived in France since 2009. 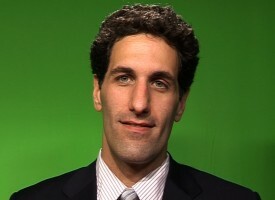 He has been a daily newspaper reporter in the US, and has reported from Cuba, Egypt, Tunisia, South Korea and elsewhere. His work has appeared in various journals, magazines and websites, as well as on radio and television.